Religion, although central to many people's lives, defies any easy definition. It ranges from the intimately personal in prayer, trust, and values to the most obviously public of collective rites and festivities. Long before Europeans set foot on the stony soil of Newfoundland and Labrador aboriginal people practiced their religion. Although we cannot observe the spiritual dimension of the Native peoples of the past, archaeological evidence can provide us with some clues. Grave goods from burial sites at Port au Choix and elsewhere indicate that the Maritime Archaic people saw themselves as intimately linked to the environment, holding some animals, such as the killer whale and the great auk, in especially high regard. Animals were also central to the Beothuk view of the spirit world, as they were to the Mi'kmaq. The Labrador Inuit had a mythology and rituals that linked them to the environment and to other Inuit societies. The Innu of the Labrador barrens held distinct views of their soul-spirit and expressed them in ritual, art, and legend. 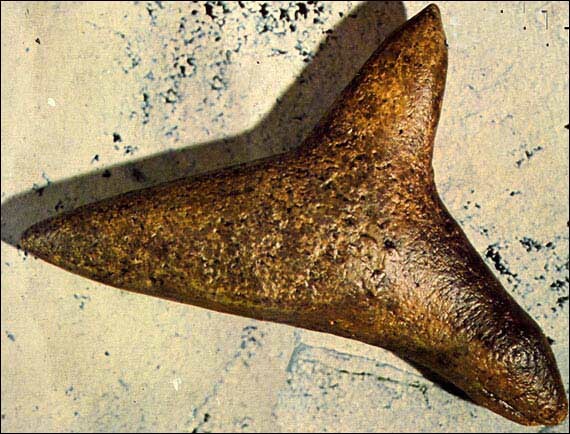 This artifact was produced by the Maritime Archaic people 4000 years ago. It was found at Port au Choix, NL. The English settlers on the Avalon Peninsula during the 17th century were for the most part members of the Church of England, though Lord Baltimore brought out Roman Catholic laity and priests to his colony at Ferryland. With the demise of the early settlements organized religion temporarily disappeared from Newfoundland. Only in one pocket, the French colony of Plaisance (now Placentia), did Roman Catholicism persist from the second half of the 17th century in a parish run by Franciscan Recollet monks. But even this Roman Catholic outpost vanished with the removal of the French in 1714 as a consequence of the Treaty of Utrecht. 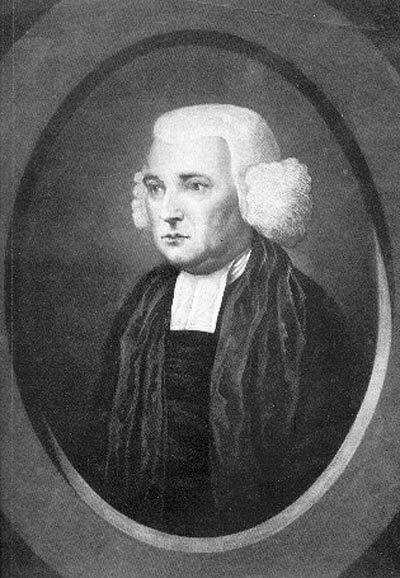 In 1700, the founder of the Anglican Society for the Propagation of the Gospel (SPG), Thomas Bray, used the religious neglect of Newfoundland fishers as an example when proposing his society in aid of overseas missions. The SPG supported Anglican clergy in Newfoundland from 1703 until the 20th century. Through its support of charity schools for the poor, it also became a cultural force in the island, until more permanent social and political institutions were established in the 19th century. Courtesy of Hans Rollmann, Memorial University of Newfoundland, St. John's, NL. From the mid-18th century, the international movement called Pietism, which sought to revitalize Protestant Christianity, left its mark on Newfoundland and Labrador. Methodism was introduced on the north shore of Conception Bay by Laurence Coughlan, an Anglican priest who had been associated with John Wesley. Coughlan preached a religion of the heart while performing his regular duties as an Anglican priest in Harbour Grace and Carbonear. After his departure in 1773, Methodism almost disappeared from Newfoundland. Only an organized missionary effort and greater support from Britain, as well as links with sister churches in the Maritimes, established a more lasting Methodist presence. 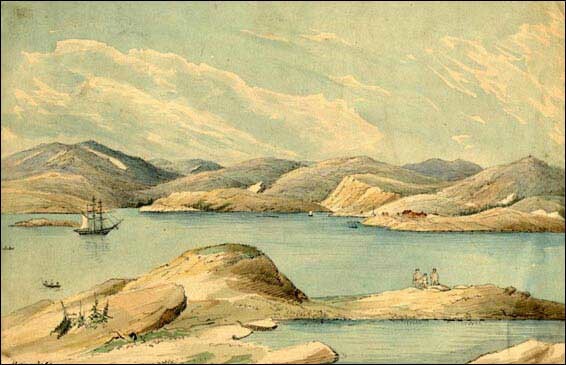 A water colour by Bishop Reichel, who visited the Moravian missions in Labrador. The interest of the Moravian Church - then known as the Unitas Fratrum - in Labrador dates as far back as a failed settlement near today's Makkovik in 1752. A continuous Moravian presence began in 1771, when a party of missionaries established the community of Nain. At different periods, the Moravians established stations all along Labrador's northern coast, one as far north as Killinek (Cape Chidley), and the Labrador Inuit became Moravian converts. The Labrador Innu, like the Mi'kmaq, became Roman Catholic adherents. Religion in Newfoundland changed significantly in the 19th and early 20th centuries when it entered the political arena and became more firmly institutionalized. The Anglican Church in Newfoundland, together with Bermuda, became a separate diocese in 1839. Roman Catholics, who had been granted religious liberty in 1784, fought hard to acquire the status of an independent ecclesiastical province, which became a reality in 1904. Newfoundland Methodists established administrative ties with Eastern British America in 1855 and--in 1925--with Canada, while the fledgling Congregationalists merged eventually with the Presbyterians. The Roman Catholic Cathedral of St. John the Baptist, St. John's. Courtesy of J. E. FitzGerald, Memorial University of Newfoundland, St. John's, NL. The 19th century was a period of ecclesiastical expansion, with the building of churches and schools. Roman Catholic religious orders, such as the Sisters of Mercy and the Presentation Sisters, as well as the congregation of the Irish Christian Brothers, made possible province-wide Catholic education. In doctrine and piety, the denominations followed major European trends. The Anglican Church, for example, which originally had an evangelical character, was later strongly influenced by the sacramental and institutional emphases of the Tractarian or Oxford Movement. Roman Catholics were at first governed by ecumenical and tolerant bishops, but later their faith became more denominationally exclusive amidst political and ecclesiastical changes both at home and in Europe. During the first half of the 19th century, Newfoundland experienced denominational strife and tension because of the involvement of bishops and churches in politics, focusing on issues of patronage and education. This died out in later years with the establishment of the denominational education system, and of an agreement that all the churches would be fairly represented at all levels of government. A factor of great religious vitality entered the Newfoundland scene during the late 19th and early 20th century: the establishment and growth of the Salvation Army and the Pentecostals. Both movements addressed religious feelings and thus continued emphases familiar in Methodism and among evangelical Anglicans, from which they recruited their members and their leadership. These groups responded specifically to the social needs of the outports, mill-towns, and industrial centres of central and western Newfoundland, where these churches found their true social and religious purpose. While the major Protestant denominations established links with Canadian churches either prior to or at the time of confederation, the Roman Catholic Church in 1948 was divided regionally and ethnically over this issue. 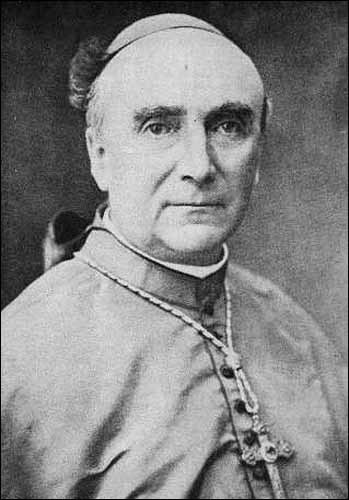 Archbishop Edward P. Roche and the Irish Catholics on the Avalon Peninsula opposed confederation and closer administrative ties with Canadian Catholics, while the French-speaking and Scottish Catholics on the west coast opted for confederation. From Ewart Young, The Atlantic Guardian, July 1947, Vol. 3, No. 7 (Montreal: Guardian Associates Ltd.) front cover. In more recent times, the major churches have belatedly encountered the world-wide problem of secularization, and have had to face some serious challenges, among them the public loss of confidence in the denominational education system, financial difficulties, and the trauma of sexual-abuse scandals. The denominational system of education was abolished in 1998 after a referendum and subsequent constitutional change. New expressions of religious concern and alternate forms of spirituality within and outside the churches have also asserted themselves in the province, such as the Charismatic and Cursillo movements. In addition, a more ethnically diverse population is reflected in the establishment of Muslim and Hindu organizations. Overall, the religious outlook of the province has become increasingly similar to that of the North American mainland as Newfoundlanders and Labradorians adapt to a new era.